EAST TEXAS (KLTV/KTRE) - Two children were killed in Angelina County and dozens injured in the Alto area after storms rolled through East Texas on Saturday. Strong storms brought heavy rain, hail, and possible tornadoes to the area. The National Weather Service says meteorologists are heading to the cities of Alto and Cushing on Sunday to survey the damage in the area. Two separate cells tracked through the area and NWS crews will confirm the damages wrought by each storm. 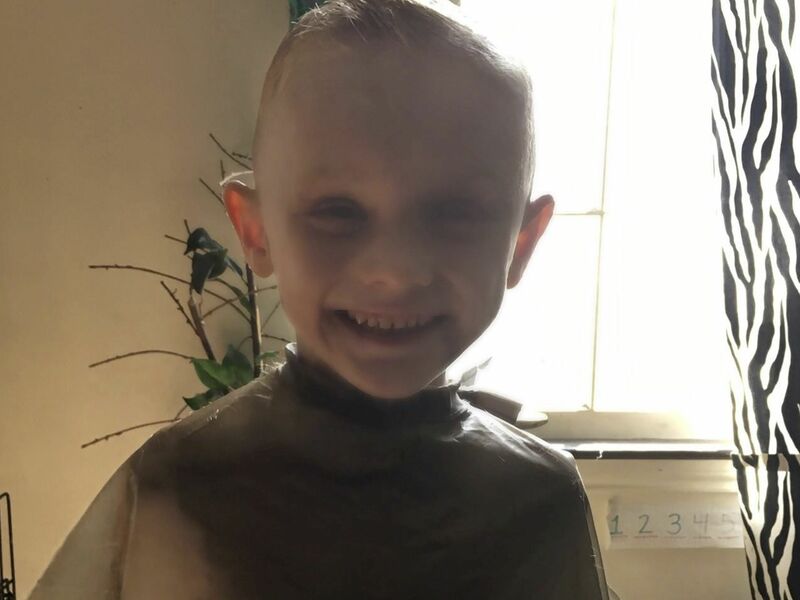 The Angelina County Sheriff’s Office has confirmed a 3-year-old and an 8-year-old were killed in Pollok after a tree fell on the vehicle they were in, along with their parents, during a severe storm. On 4-13-2019 at 2:13pm the Angelina County Sheriff’s Department received a call about a tree that had fallen on a car in the 1800 block of Dewitt Henson Rd. 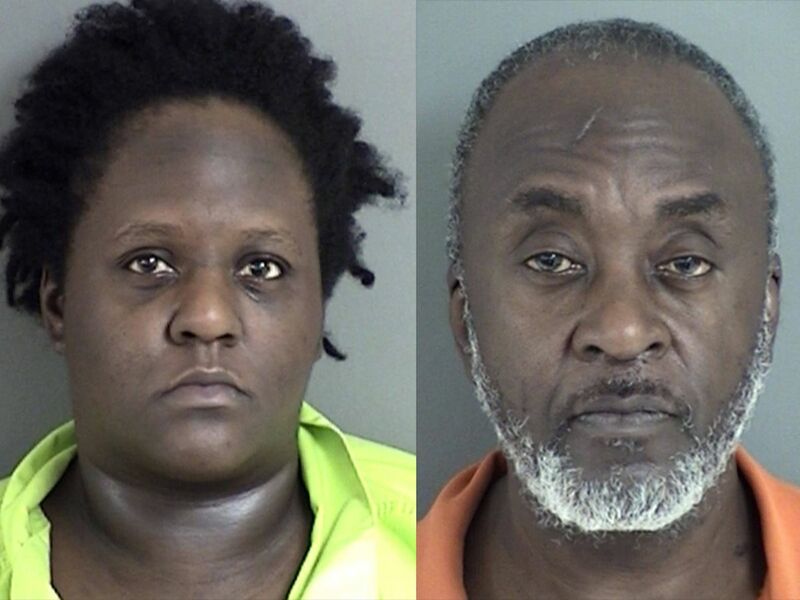 Upon arrival of Sheriff’s Department personnel, it was determined that two children age 8 and age 3 were trapped in the back seat of the car under the tree. Rescue staff from Lufkin Fire Department and Central Volunteer Fire Department arrived on scene to assist. Both children were removed from the vehicle. Sadly, both children were pronounced deceased at the scene. Justice of the Peace Pct. 1 Billy Ball conducted the inquest at the scene. Angelina County Sheriff’s Department investigated the scene. One child was identified Saturday evening. Eight-year-old Dilynn Creel died in the crash, according to a social media post from Central Elementary Principal Anita Byrd. “It is with heavy hearts that we share the passing of Dilynn Creel, 2nd grade student at Central Elementary. We will have extra counselors available for Central Elementary on Monday. Central ISD will be accepting donations for the family. Please keep the Creel family in your thoughts and prayers," she wrote. The Angelina County Sheriff’s Office confirmed the identity of the child. According to Alto Police Chief Jeremy Jackson, about 25 people were transported from the Caddo Mounds State Historic Site and the nearby area. Jackson said there are a lot of homes flattened and said he’d seen at least one home that was pushed across county roads by the storm. A fire department representative later estimated the number of those injured was closer to between 30 and 40. According to Cherokee County Sheriff James Campbell, at least 8 people were critically injured. Five helicopters landed at the scene to transport people to hospitals and multiple ambulances were spotted at the scene. Campbell reported there was an event happening at Caddo Mounds when the storm struck. Campbell believes there were two tornadoes that touched down in the area, adding that about 11 people trapped in their homes throughout the area. Law enforcement officers were working to check each home Saturday afternoon. There was a press conference with officials in Alto at 3:30 p.m. at the triage center set up at The River Church in Alto. Three people were injured when a tornado badly damaged a home in Ratcliff, according to a preliminary storm report from the National Weather Service’s Storm Prediction Center. The Crockett Fire Department reported the dome at the Crockett High School is open for anyone seeking shelter at this time. Upshur Rural Electric Cooperative Cooperation posted video of a mobile home in Hallsville where a tree crashed through while a 4-month-old was asleep. They reported the 4-month-old was asleep in a back room of the home when the tree came crashing through the roof. The child’s father, who had been asleep on the couch, managed to crawl underneath the tree to get his child to safety. Upshur Rural Electric reported no one was injured during the incident. 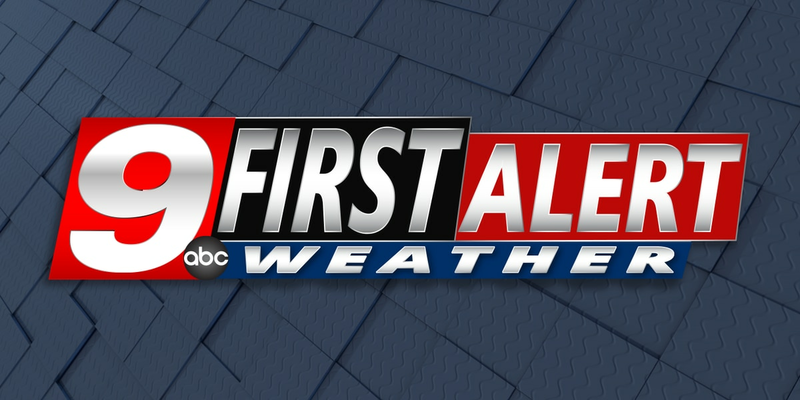 Damages have been reported in Houston County, where the National Weather Service has confirmed a tornado touched down near the Austionio area. According to Game Warden Zach Benge, a home on Tadmor in the Ratcliff area was significantly damaged. Downed trees and power lines have been reported near Lovelady. According to TxDOT, trees are reported down on Douglas Road and Press Road in Nacogdoches County and Main Street in the city of Nacogdoches. Motorists should avoid these areas. Take alternate routes as emergency crews respond. Also in Nacogdoches County, trees were reported down on FM 2713 with power lines tangled in them. FM 95 near Martinsville was also blocked by downed trees. Motorists should choose alternate routes. Crews are working to clear the roadway. TxDOT also said US 287 South and North, SH 7 East and West, SH 21 West, FM 1280, FM 3151, FM 232, FM 1280, FM 228, FM 227, FM 2022, FM 2423 all are being affected by downed trees. 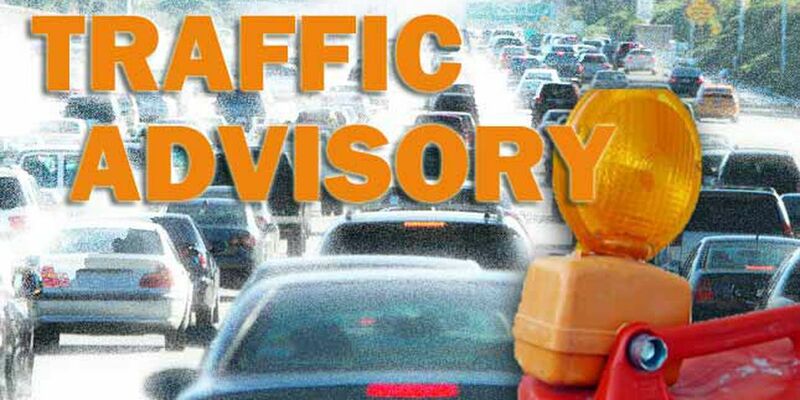 TxDOT is reporting road closures on US 69, SH 21, and SH 294. They are assessing roadways after possible tornadic activity in the city of Alto. The Texas Department of Public Safety also said there are downed power lines on SH-21, between Caddo Mounds State Park and the city of Alto. DPS asks that people please do not approach any fallen power line as they may still be live. They also asks that people make a plan for a long-term power outage as they cannot guarantee when power would be restored. Highway 69 is closed north of Alto according to Smith County Emergency Services District No. 2. Law enforcement officers are also in place to prevent people who are not authorized from entering the area while recovery efforts are underway. The State of Texas Department of Emergency Management has deployed a strike team from Smith County Emergency Services District No. 2 to Alto to assist with search and recovery efforts. The team was activated about 2:15 p.m. and deployed about 4:30 p.m. Saturday, according to SCESD2. The task force is made up of teams from: Arp Volunteer Fire Department, Bullard Volunteer Fire Department, Dixie Volunteer Fire Department, Flint-Gresham Volunteer Fire Department, Jackson-Heights Volunteer Fire Department, Noonday Volunteer Fire Department, Red Springs Volunteer Fire Department, Troup Volunteer Fire Department, Whitehouse Volunteer Fire Department, Winona Volunteer Fire Department, Smith County ESD#2. Anyone in the Alto area impacted by the storms is encouraged to visit the Red Cross assistantce center at The River church, 595 S. Marcus St./Highway 69 South. The American Red Cross says snacks and bottled water are available and emergency medical crews are on site. If residents feel it is not safe to leave their homes, call 1-800-RED-CROSS or 1-800-733-2767. Saturday evening the Marine Corps League packed supplies donated from Walmart to spend to Alto. We are correcting this story after Benjamin gave us the facts below. Thank you Benjamin, and we are so glad you both are OK. .. There was a 5 year old little girl sleeping in the back room of this Hallsville home when the tree fell through the roof. The little girl woke up and crawled to her older sister and boyfriend in another room. The severe storms that hit our service territory damaged HCEC’s distribution lines and the transmission lines that supply power to our consumers. The area that received the most damage was in the eastern portion of the service territory. Transmission lines were seriously damaged and will cause some members to be without power for more than 24 hours. The areas expected to experience prolonged outages are: Kennard, Ratliff, Tadmor and Weches. If you or anyone you may know has a medical condition that relies on electricity, they urge you to relocate where you can receive an alternate power source. They said they are utilizing all of our resources to restore power to our consumers as quickly and safely as we possibly can. Multiple power outages are reported across the area. Oncor is reporting 8,725 customers are without power in Deep East Texas. About 1,112 customers are without power in the Smith County area and 217 in the Athens area. About 325 customers are without power near the Palestine area. Houston County Electric reported about 3,047 customers are without power. SWEPCO is reporting 618 customers are without power in the Longview area. About 3,090 customers are without power near the Marshall area. Rusk County Electric Co-Op is reporting 91 customers without power. Upshur Rural is reporting 852 customers without power. A First Alert Weather Day is in effect for Saturday and severe weather is expected over most of the East Texas and Deep East Texas areas. In the morning to pre-noon hours, widespread showers hit southern East Texas counties and thunderstorms in the central and northern counties. As we head into the afternoon, widespread thunderstorms will persist in the northern counties and will begin to form in a more isolated pattern in the southern counties. This is developing story. We will continue to update the story as details become available. All warnings and alerts have been canceled for East Texas. Are you prepared for inclement weather? Stay up-to-date with current and future conditions with our KLTV and KTRE Weather apps! Click here to download the KLTV app for iPhone or Android. Click here to download the KTRE app for iPhone or Android. TxDOT said FM 2497 at Cedar Creek Relief near Diboll in south Angelina County is closed due to predicted weather and possible flooding. The three East Texas counties included in the watch at this time are Polk, Trinity, and Houston Counties.